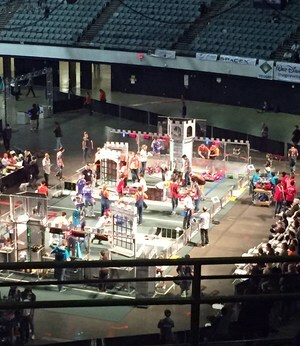 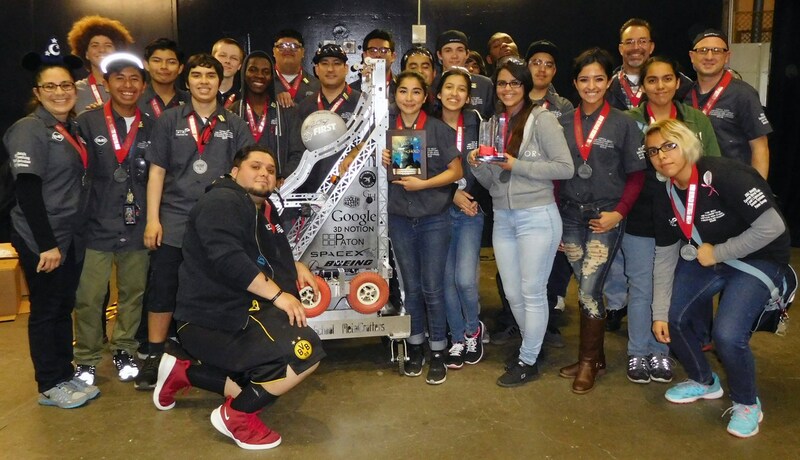 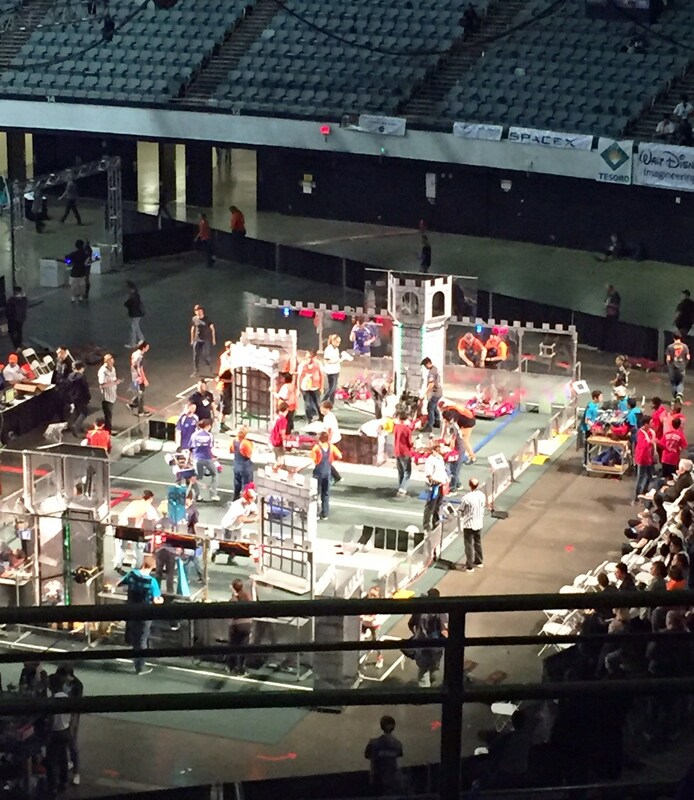 The Hawthorne HS Robotics Team was awarded the 2016 Regional Engineering Inspiration Award last Saturday, March 12, at the FIRST Los Angeles Regional Robotics Competition that was held at the Long Beach Convention Center March 9-12, 2016. 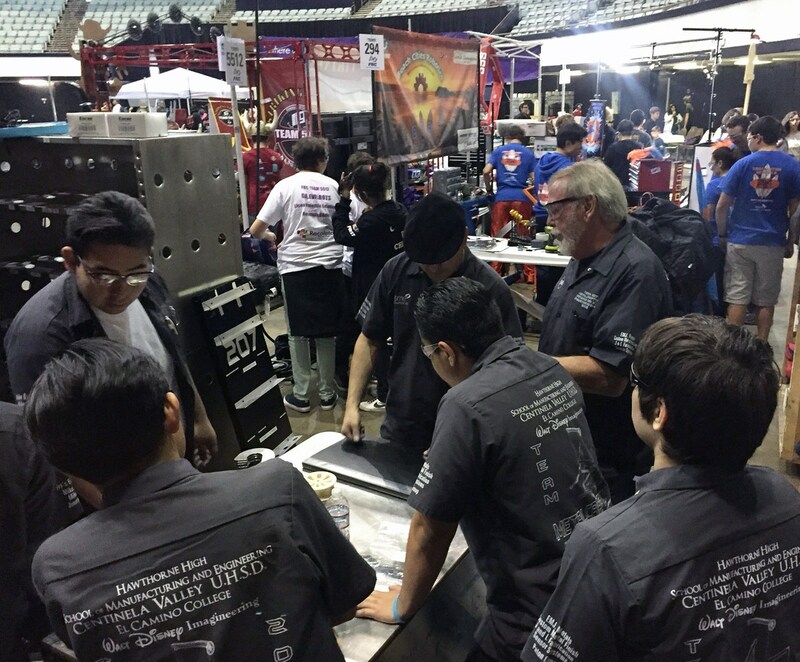 This award allows them to participate in the FIRST World Championship that will be held April 27-30, 2016 in St. Louis, Missouri. 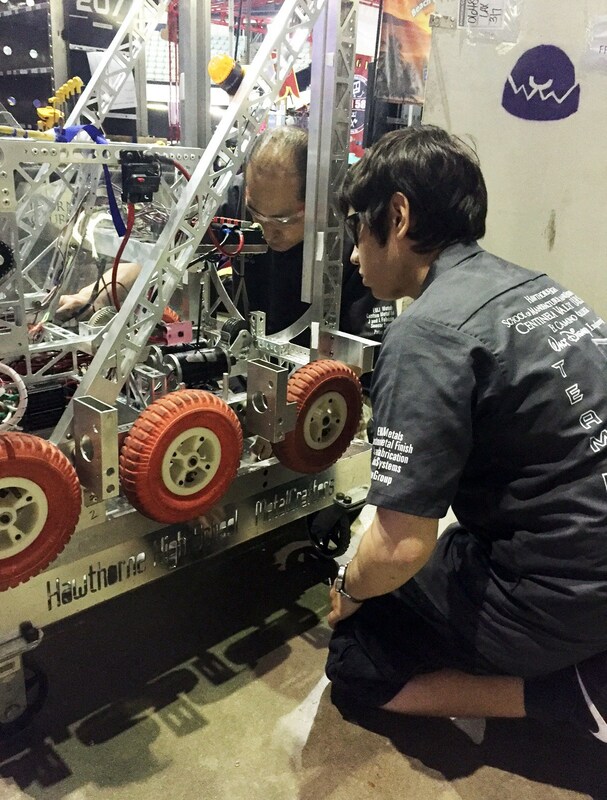 Additionally, it comes with a $5,000 scholarship from NASA to pay for their entrance fee. 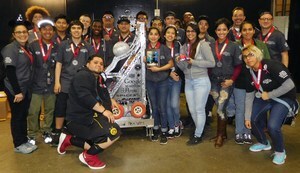 Anyone interested in making a donation to the team so they can raise the $30,000 they need to send the team and the robot to the competition should contact Lucas Pacheco at (310) 263-4545 or pachecol@centinela.k12.ca.us.